Crusaders coach Scott Robertson has admitted he could leave New Zealand to coach in France, should the opportunity present itself. 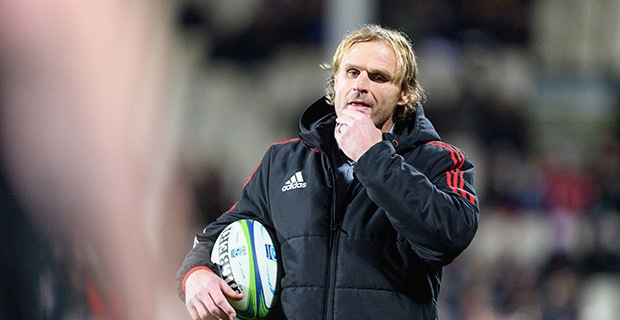 Having gone through the ranks with the likes of Canterbury and New Zealand's Baby Blacks under‑20s side, 44‑year old Robertson is currently preparing for the upcoming Super Rugby season with the Crusaders, having coached the Christchurch based side to the past two titles, eyeing a third. Naturally, Robertson's success at domestic level has seen his name thrown into the mix for the soon‑to‑be‑vacant All Blacks job, contending with the likes of Steve Hansen's assistant coach Ian Foster. Speaking to Newshub, Robertson has come out saying that he could also look to head offshore after the Crusaders. Robertson will for now continue with the Crusaders, though, preparing for a hat‑trick of Super Rugby crowns when their season begins on February 16 against the Blues at Eden Park.